You may be surprised that a vegetable produced this flower. This is the flower from a onion plant. 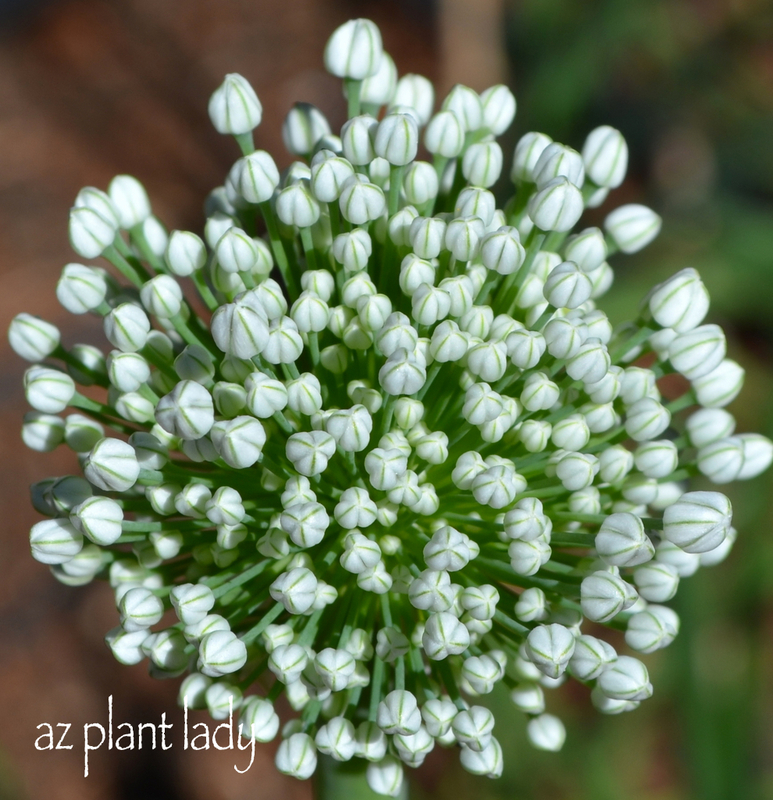 You would expect that the onion plant that produced this flower would be equally impressive, like the one in the picture above. This was the first time that I tried growing regular onions in the garden. I have had a lot of success with green onions, but evidently, my white onions need some help. While there are only about two onions worth eating, I can chop the greens of my ‘reject’ onions and use them in the same way one would use green onions (scallions). They have a mild, oniony flavor. Every time that I try some thing new in the garden, I learn something. I have learned since then that many of my fellow area gardeners, have had similar disappointments when growing bulb onions. However, there is one variety that many have told me they have had some good results growing. It is called ‘Texas Sweet’. So, next fall, I will be growing ‘Texas Sweet’ onions. In the meantime, I will keep my remaining onions in the ground and enjoy their beautiful flowers. **Check back soon for a fabulous giveaway that I will be doing where you can win a great TroyBilt tool that has many uses. I have been having so much fun with mine. I haven’t mentioned how my daughter, Rachele, has been doing while in basic training for the Navy. It has been much harder than she expected. She has had some injuries to deal with and a cold that has been present much of her time in basic training. She has been homesick, but as her time in basic training has progressed, we sense her toughness and determination to get through. On the home front, the first few weeks were very hard because we missed her so much. But, as time passed, we have adjusted to her absence although we miss her terribly. What has been so hard is the fact that our main way of communicating with her is by letter. She only gets to send us one letter a week. Phone calls are sporadic and you never know when they will come. It has been 3 weeks since we last talked to her on the phone. I cannot wait for her to graduate from basic training and will be flying out to Chicago soon to see her become a sailor. We will have one day with her before she flies out to her ‘school’ where she will learn her specialty. Please keep her in your prayers as she is going through her last tests that she must pass.